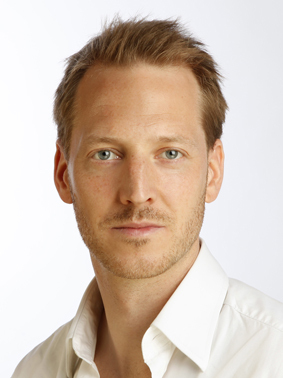 Our interview partner: Michael Bartl from HYVE. Founded in 2000, HYVE was created as a one-stop shop for innovation. Roughly 90 employees now work to develop and revolutionize products, services and business models in collaboration with users and customers. Innovation consultancy, product design and engineering, market research and data models and managing digital change are the core disciplines of innovation that we provide to 70% of DAX companies. Startups can also benefit from the experience gathered from several hundred innovation projects across all industries when it comes to inventing, developing and marketing new solutions. For all digital solutions, but also for all of the products used in daily life, our focus is always on how it benefits the user. That is why we actively involve the user in development. That involvement is something that needs to be worked on time and again. This applies to startups early on in their development just as much as it does to established companies with a long history. When working with startups, we do not follow a portfolio strategy, nor do we focus on business ideas such as intermediary platforms or arbitrage. We are developers at heart and want to bring meaningful applications and customer experiences to the world for new technologies such as virtual reality or artificial intelligence. We would also be content to simply create the best advocaat in the world. When working with startups, we check to see whether users actually need the idea and could learn to love it. We also listen to the feedback we receive from the corporate world about the idea’s potential and verify whether or not we as a team will be able to contribute to the vision. …successfully complete a decathlon! Creating a startup and turning it into an established company is like running a decathlon. You have to perform quite well in every discipline: product development, creativity, customer proximity, team building, arousing interest, processes, etc. The secret to success is striking a degree of balance across all disciplines. Too many failed attempts or weak individual disciplines will not allow you to win a decathlon. You will also have to change your strategy quite often. That is simply due to the nature of participating in a long competition with its range of uncertainties and changing conditions. Why would a good startup even need an incubator to back them? Experienced mentors can be of profound help, especially in the beginning, be it by pointing the way with their advice or by providing a good infrastructure. That makes it easier for founders to organize their business idea and team, also when compared to other startups. I cannot stress the importance of this stage of self-perception enough. What we do is support startups, as well as investors and corporate ventures, when they are in the tricky stages of innovation and development by offering a guided implementation process in various lab formats. We also use the same lab formats for our own startups. In keeping with the decathlon metaphor, startups often make the mistake of neglecting the disciplines in which they are not as proficient. They need to identify which areas are in need of swift improvement and enhancement to avoid being disqualified. Needing to understand the overall structure of a business also forces founders to think long-term, meaning in a matter of decades. They need to think the way successful German mid-sized companies always have, which is something that many representatives of short-lived, exit-oriented startups fail to do. The trend of the year is … ! The triad of industry, research and higher education in combination with capital is definitely unique to Munich. When compared to other regions, startup hype and excessive euphoria are not really how people work in Munich, which is a good thing. That being said, a bit more self-promotion from the Isar Valley would certainly not hurt when compared to other locations. That is exactly what I value so much about the Munich Startup platform.